Psych News Alert: What's Behind Dramatic Rise in Hospitalizations for Eating Disorders? What's Behind Dramatic Rise in Hospitalizations for Eating Disorders? Hospitalizations for either a primary or secondary eating-disorder diagnosis showed a dramatic increase of 24 percent from 1999 to 2009, according to a report from the Agency for Healthcare Research and Quality. This increase was attributable to a 40 percent rise in secondary diagnoses in conjunction with eating disorders—from 17,118 to 23,946 during the period—since principal diagnoses of eating disorders fell by 1.8 percent, according to a “statistical brief" titled, “An Update on Hospitalizations for Eating Disorders, 1999 to 2009.” Among hospitalizations in which eating-disorders were the secondary diagnosis, the primary diagnoses were mood disorders, fluid and electrolyte disorders, schizophrenia and other psychotic disorders, alcohol-related disorders, and poisoning by medications or drugs. 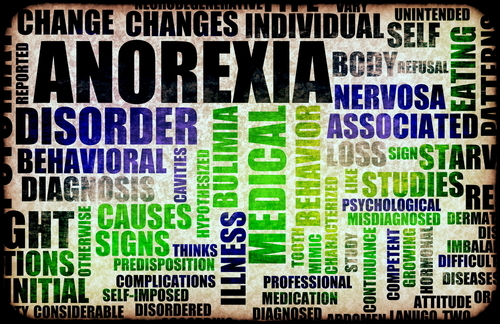 Psychiatric News recently reported on studies finding a genetic link to suicide risk in persons with eating disorders. To read about that link, see http://pn.psychiatryonline.org/content/46/17/24.1.full.